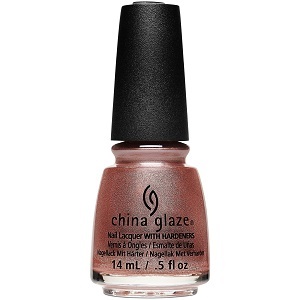 China Glaze Nail Polish, As Good As It Glitz, 1581, .50 fl. oz. Metallic light gold shimmer with lilac/pink tones and a chrome finish.